What is reuse of framework? Reuse - It is advantage of object oriented development. 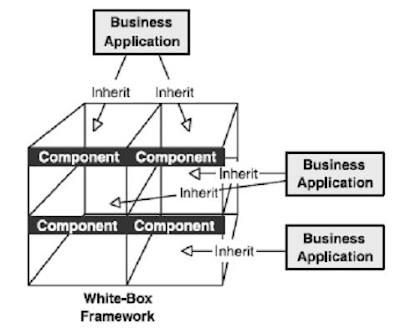 Object oriented approach has a unique feature of inheritance. In this child class acquires properties of parent class. It reduces the development time of a project. No need to rewrite same code again. Framework - It is a set of classes that work together to achieve a purpose but that must be specialized internally by the designer. 1. In white box framework, where developer often needs to know the detailed implementation of framework but in black box framework consists of components that hide their internal implementation. 2. In white box framework less range of flexibility but in black box grater range of flexibility. 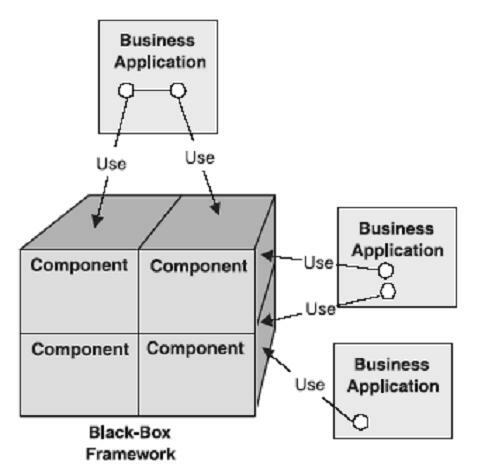 Developers can choose different components and classes in black box framework. In white box have to show complete details but in black box has flexibility. Developers can select which data to show and which data to hide. 3. In developing, white box framework easy to develop compare to black box because no need to analyses about what data to be hide and what data to be show. In white box complete data is available and all internal information also available. No level of abstraction in white box so easy to develop. 4. White box framework always comes with source code but black box not comes with source code. 5. White box framework requires deep understanding of framework implementation but black box not require deep knowledge of framework development. Gray-box frameworks take both inheritance and composition approach, is usually made up with combination of abstract classes and concrete classes. When developing an application framework, there is no requirement that the framework contain either all abstract classes or all concrete classes. In business application sometimes need to inherit all properties of component and sometimes only need to use properties. In fact, neither pure white-box nor black-box frameworks are practical in the real world. 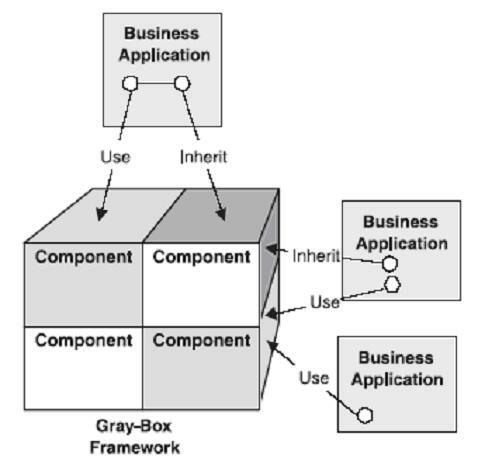 In real world by mixing of white-box frameworks and black-box frameworks effectively create a gray-box frameworks.